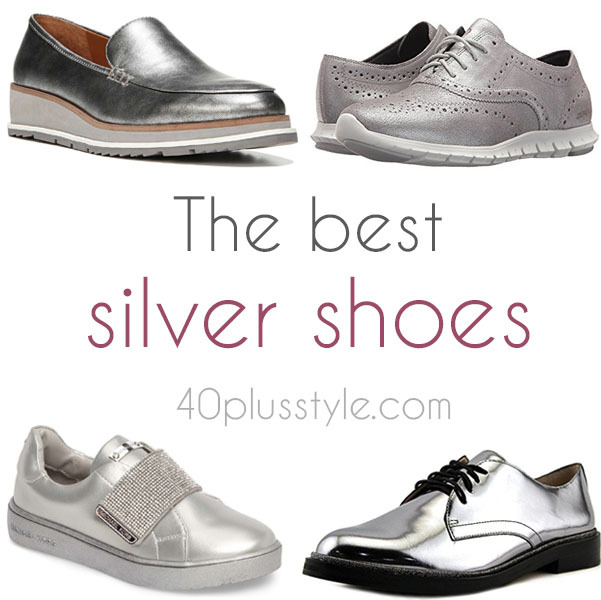 The best silver shoes for a hipper and more youthful look! 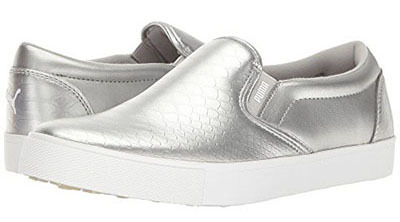 40+ Style » What to buy » The best silver shoes for a hipper and more youthful look! 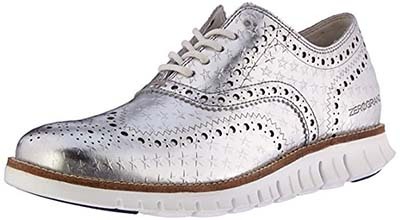 Members of the 40+Style Club are getting ready for the winter challenge and one item that the women loved adding to their wardrobe was silver shoes. 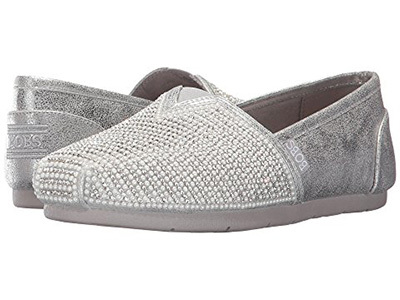 Some women felt hesitant about this purchase but are thrilled with the results. 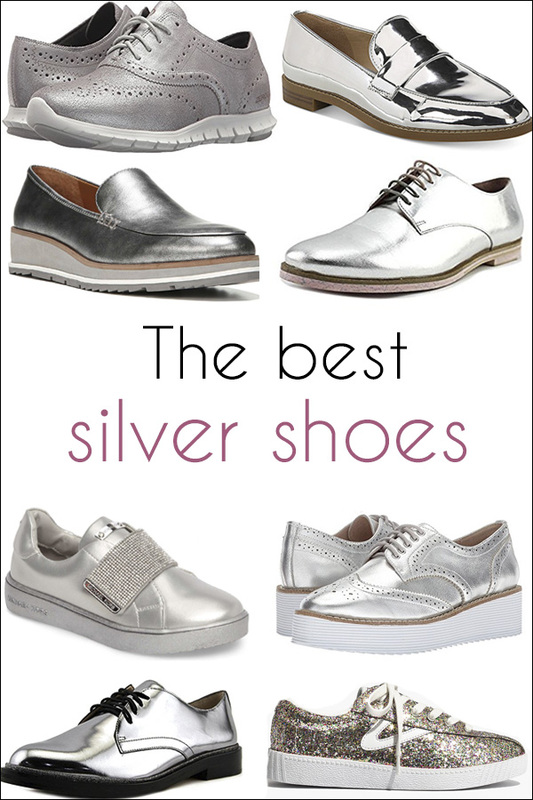 Today I will go into more detail on why silver shoes are so fabulous this season and I’ve listed some of the best silver shoes for you to choose from. 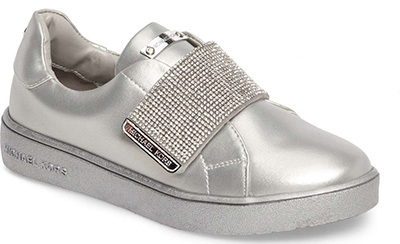 Silver shoes have become really popular this winter partly due to the popularity of this Prada shoe (now on sale). 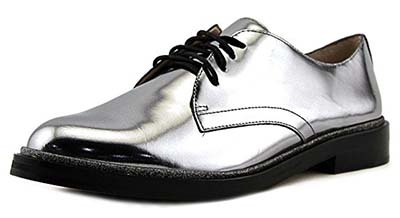 These shoes has inspired many other designers who created similar designs. You an find some of these below. 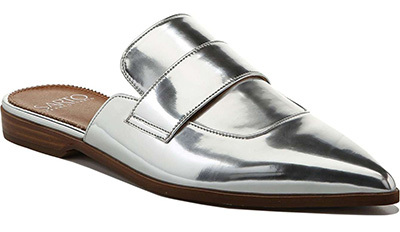 Here’s why a slightly edgier item like a silver shoe can breathe life into your closet. 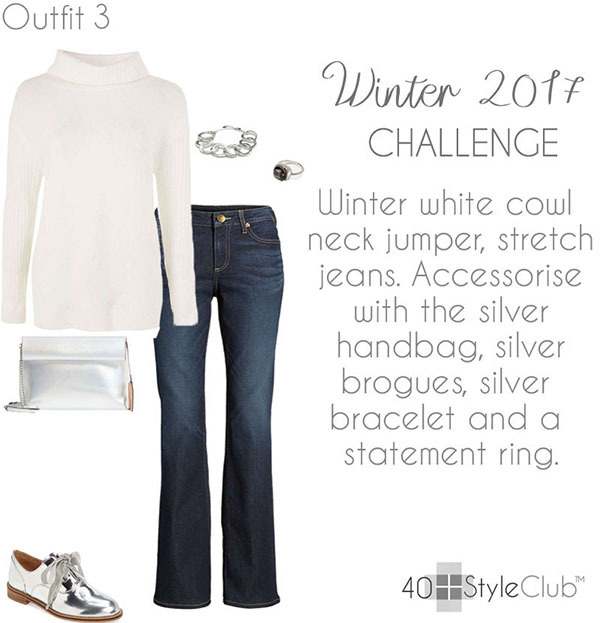 Take the outfit below for example. It’s very simple with just jeans and a sweater. 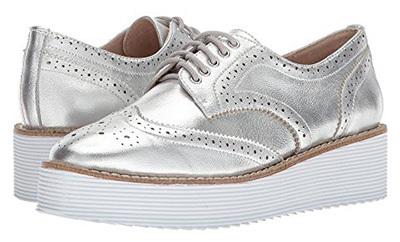 The silver shoes make this very classic look more edgy and therefore more interesting. 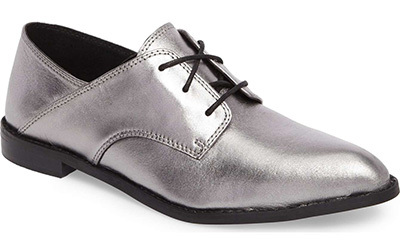 Silver shoes are an easy way to give your outfit a bit of sparkle which makes it appropriate for the holidays. 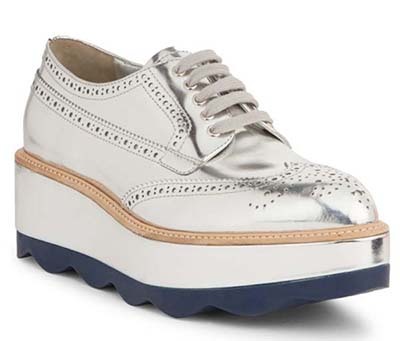 No need to wear heels! 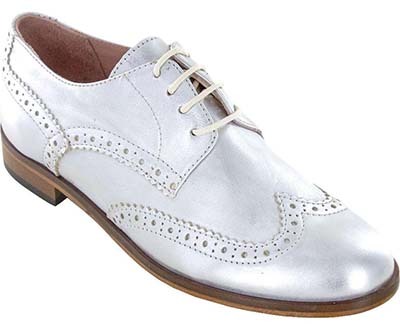 There is no need to wear heels to make your outfit look festive and chic. 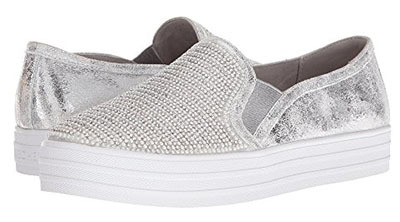 Most of the shoes featured in this article are really comfortable which means you can walk on them all day and still look chic! 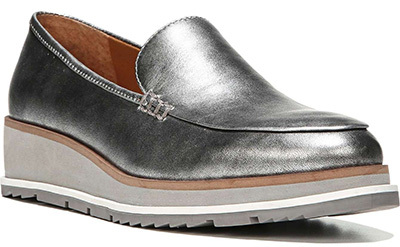 There’s nothing wrong with looking more current and adding a bit of hipness to your style. Although we don’t necessarily want to look younger, I think it’s always nice to look more youthful. 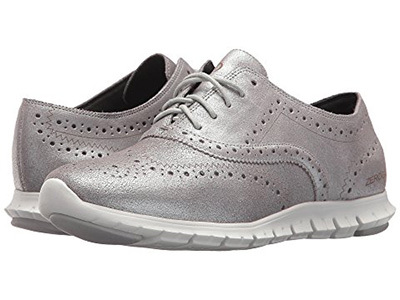 I have no less than 4 pairs of silver shoes (some I’ve had for years) and find that I can wear them with almost anything. 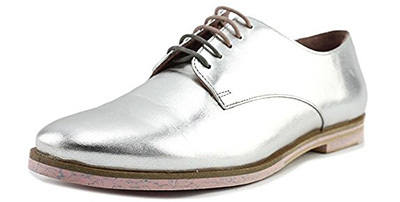 Here are some of the best silver shoes I found online that are comfortable, yet hip. 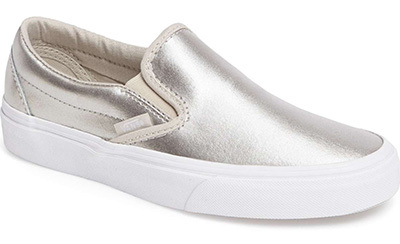 Each of these would be a great addition to your wardrobe. 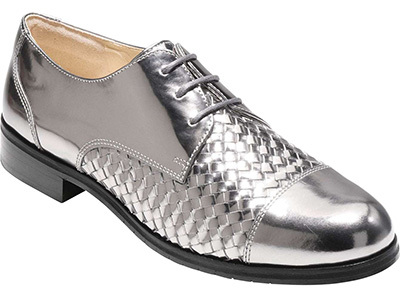 And here is another example from the challenge on how you can wear them! 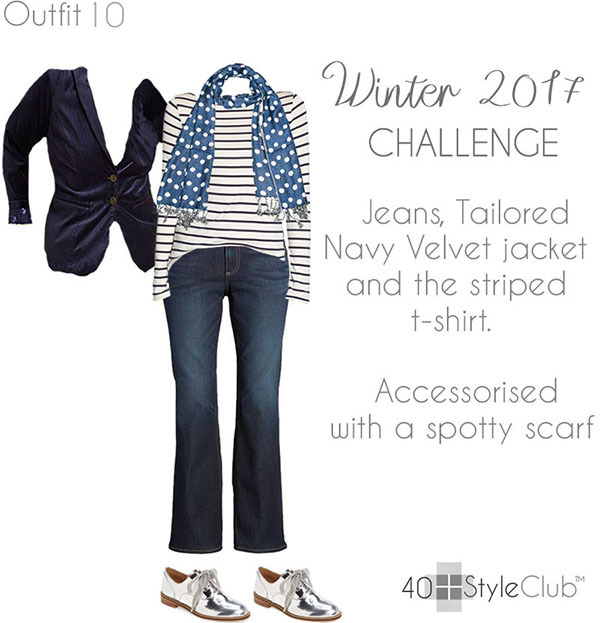 If you want to see the complete winter capsule and challenge (12 items will allow you to create 80 outfits!) as well as access to our transformative style course, you can get access here. 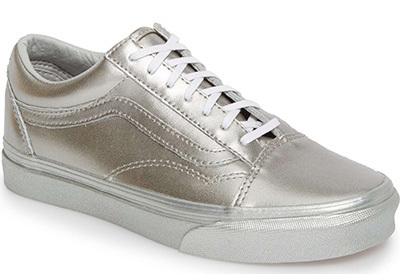 What do you think of silver shoes? 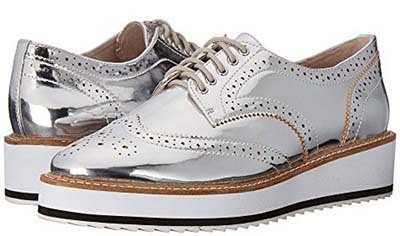 Is it something you would wear? Which one of the above is your favorite? I agree with what you say. 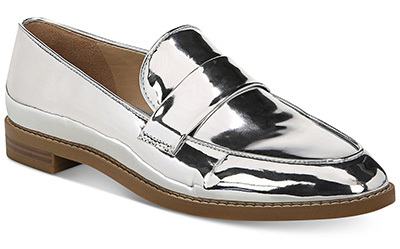 Silver shoes can lift an outfit so much. 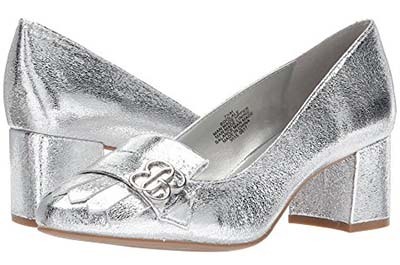 I have comfortable low heeled (well, low heeled to me) silver pumps for winter, pointy silver slingbacks (high heeled) for summer: great to look at, fantastic to improve an outfit but they are not that comfortable. 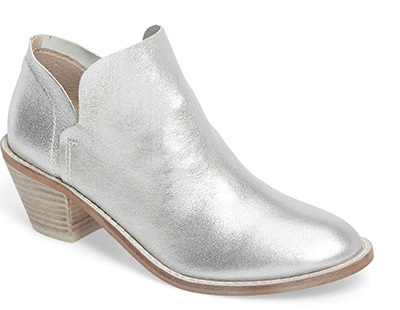 And flat golden boots for winter (great) and silver/gold booties with high heels for winter (not comfortable alas). So. 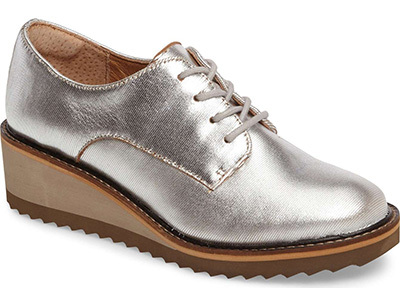 Am with you on the metallic trend. Previous post: 17 colorful outfits from the streets of New York – which is your favorite? Next post: How to thrift like a pro!